Sharing with all of my fellow Disney fans!!! 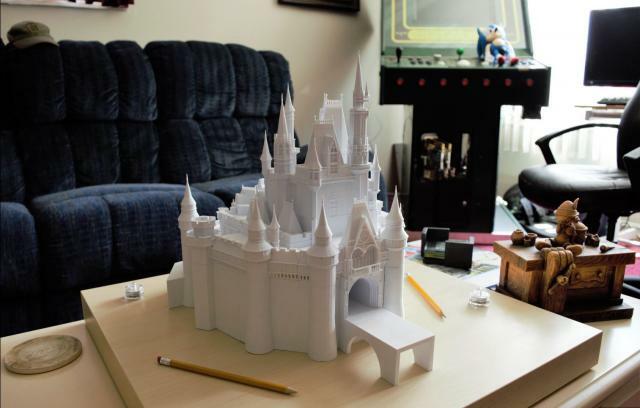 This is a Replica of Cinderella Castle in Walt Disney World. We have always wanted an exact replica of the castle but could not find one. Well, other then Legos. So... We had a 3D printer, and thought.. why not make one ourselves! So we set out to do just that! Every time we look at this we smile. 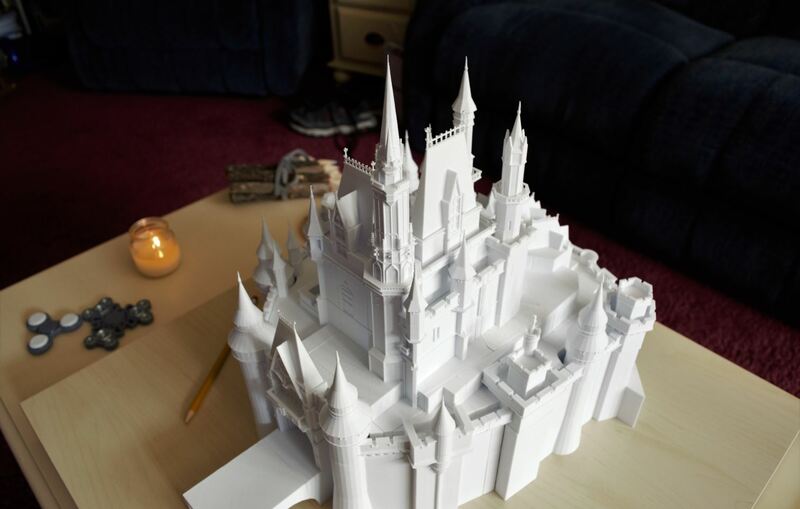 For us, the time we spent making this castle was worth EVERY Second. If you watch the YouTube video below, you will see we even set it up to watch Wishes and Celebrate the Magic. I know... we miss them too. But we are headed to WDW in February and can't wait to see Happily Ever After!!! 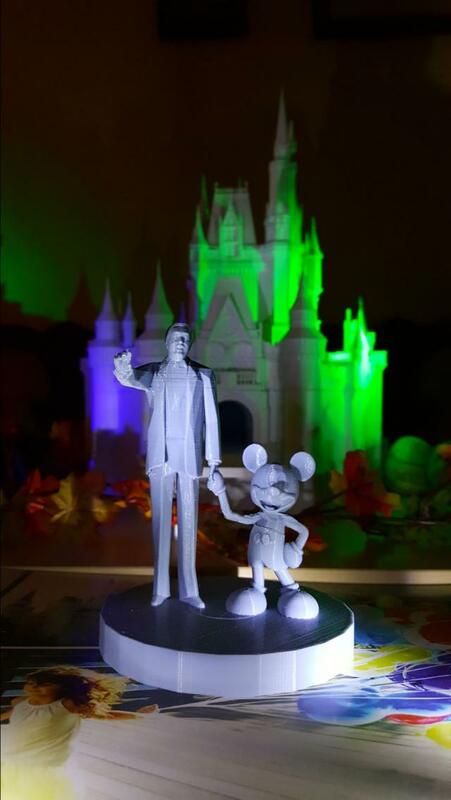 UPDATE: Added the Partner Statue in front of the castle. Going to use 2 shaded of bronze for an authentic look. I am a brand new member of this site and figured I get some real disney fan's input. It's not done but it's getting there so I will update this post as I go. Thank You Brinbunny ... We love the lego one and was going to buy it, but then we decided to try printing one true to life. Is your lego castle still put together? and do you think I should paint mine? Hope you stick around and share more with us! There is an Introduce Yourself thread, we would love to know a little more about you! Heading to the world in 2 days myself! Can't wait to see the real thing. We also have the Lego version, it was a lot of fun to put together. Thank You JMed so much for the warm welcome and the kind words about the castle. I left mine up for a few months, but currently and displaying the Lego Ferris wheel. Our next project will be either the Millennium Falcon or the Death Star. I am in love with the carousel they have and I really wish they would bring out more Disney icons! I would love the Sorcerer's Hat from Hollywood Studios! Or even the Tree of Life! Could you imagine???? Here is my plan... 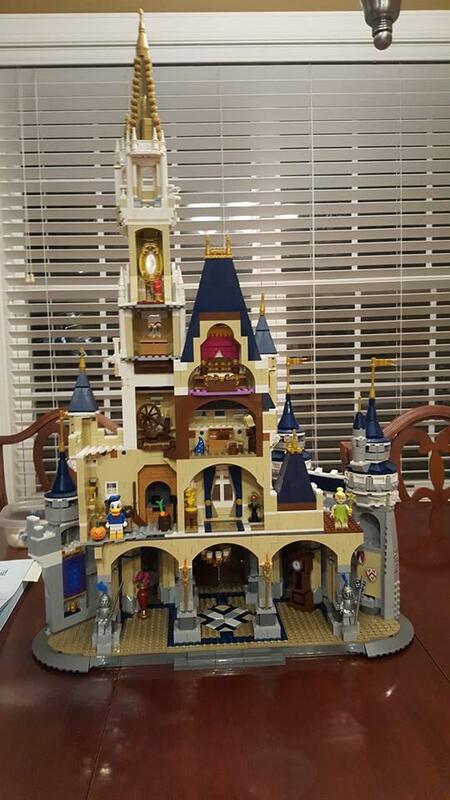 I am not sure what the Lego version cost but the castle you see in the pic we are completing cost around $45 to make. Which to me is not bad. The printer I used cost $155. 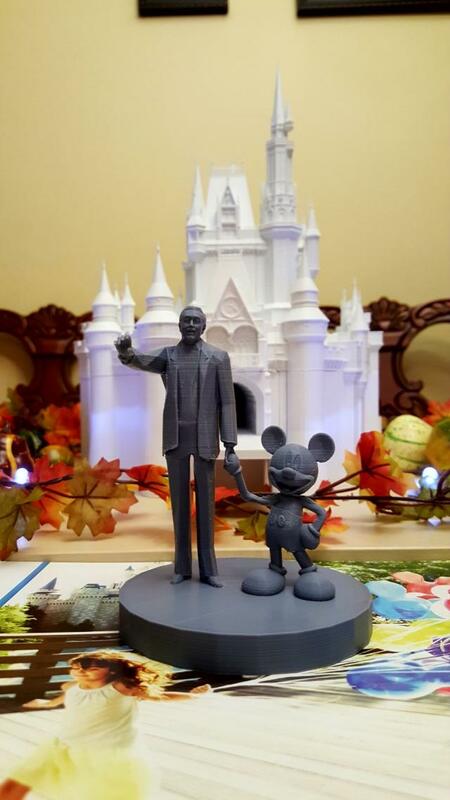 I just completed the Partner Statue (Walt and Mickey in front of the castle) Last night. That probably cost about .75 cents to print. 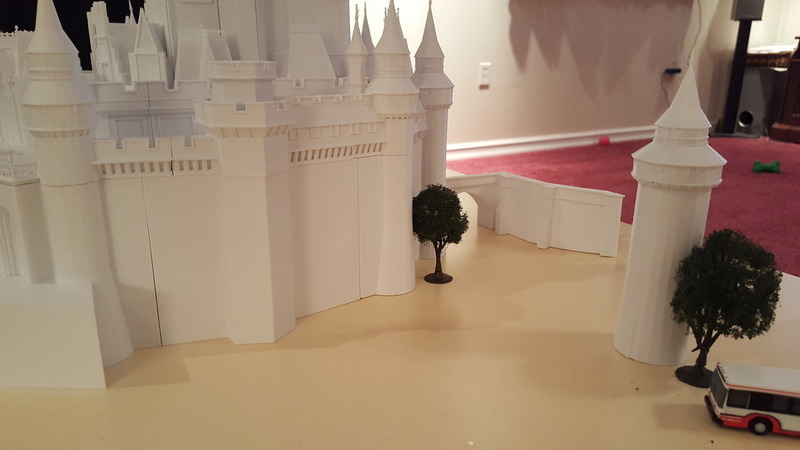 And it's too big for the castle Now I have to scale it down some more to match castle size. Printing as I type this. So more like 50 Cents. I can take a pic if you want. Here is the Magical part. If Disney wasn't so strict with their models, and if you had a printer, I could LITERALLY email you the Castle for you to print yourself. It would cost you less than $45 because I wasted material while making the files. But I get why they are strict. 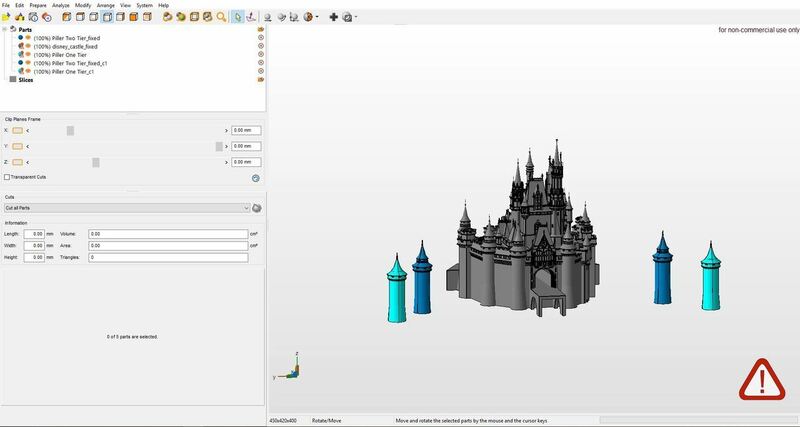 I am a member of a few 3D printing forums and have been asked hundreds of times if I could share the castle. 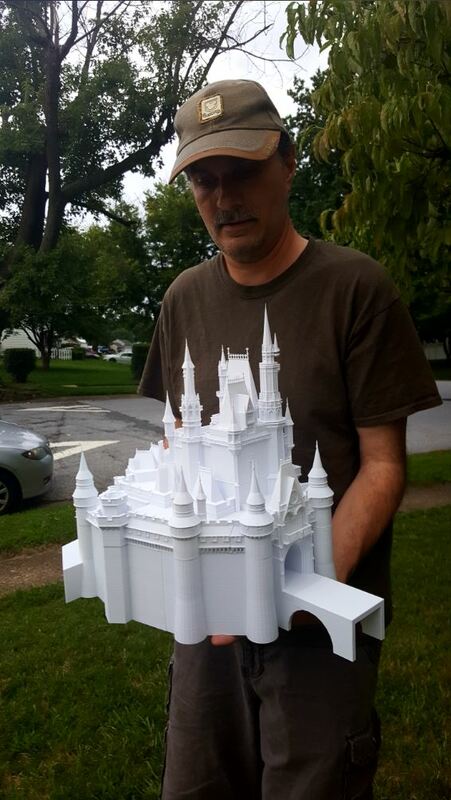 That's the magic of 3d printing. I am hoping one day Disney sees this and somehow gives me the nod to share the files with all disney fans. That is INSANE! So cool! And I would love to see pictures of your Partner Statue! Thank you very much Allie!!!! The base is just temporary until I make a second to match the real platform. Then I will make it a bit cleaner and smooth it down. (Get rid of the lines) Then I will print the plaque for the base. Once I print the final one, I will use to different metal Rub-n-Buffs. This will give it that bronze metal look. 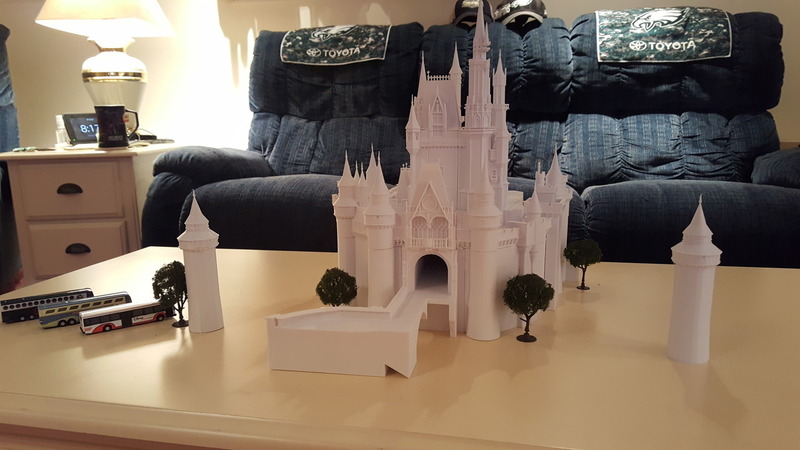 This one is not to scale of the Castle I made so I will probably send this one off to a friend, scale and hit print again. That 3D printing is so cool! My daughter works at a science museum and when they first got theirs one of the guys made Spaceship Earth. This has so much more detail though, and I love that you projected to it! That's neat. I have printed so many things with it. Thing's like Harry Potter wands, dragons, poseable models for drawing, mickey fidget spinners... The list goes on and on. Does your daughter still have access to it? 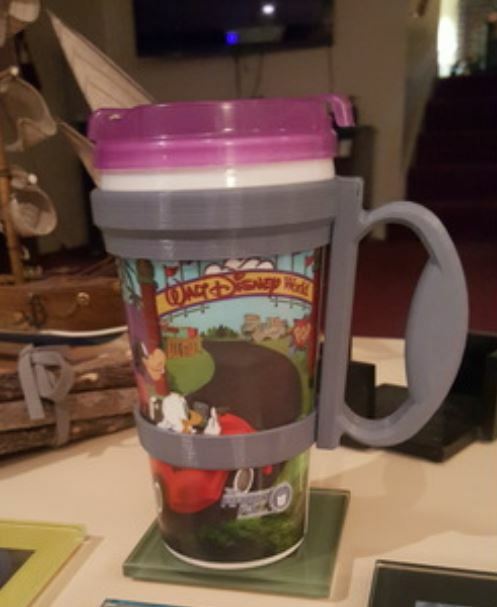 We go to Disney in February so I am printing 4 handles for the Rapid Refill Mugs. (All different colors) They removed them when we went last year which prevented me from going down to the restaurant and getting drinks for 4 of us. These come apart and slip on the mugs. Bibbity Boppity Boo... Problem solved! Not sure if it helps but I can send them the file. Here is a grey one I tested with. What a great idea with making your own handles! 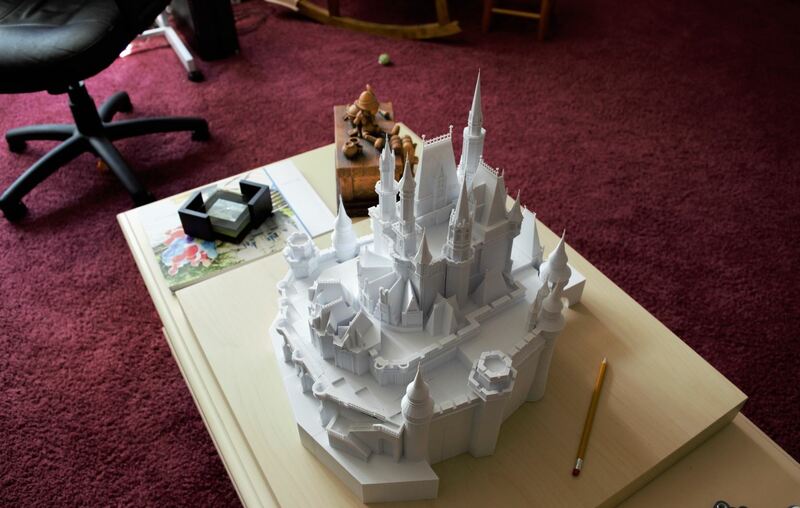 Your castle is really beautiful! Thank you very much jtownpluto. 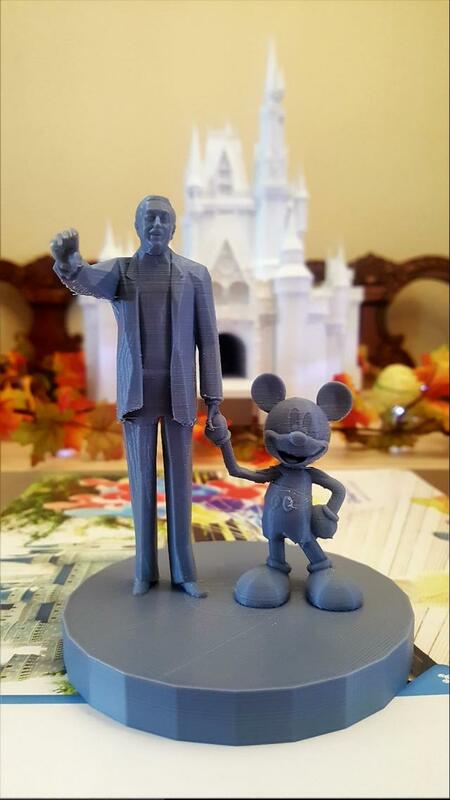 We are having so much fun as a family printing more add-ons and adding details. 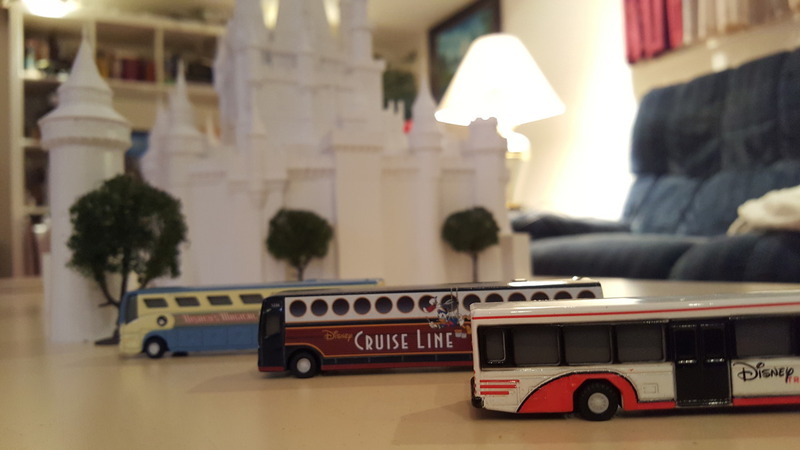 Disney World slowly appearing in our home. That is soooo awesome especially with the statue in front of it!!!! Thank You very much drwadadli. The statue still needs a lot of work but I'm getting there. Been putting in a lot of hours at work and have been neglecting Walt and Mickey. Thank You Belinda!!!! Love the hat! 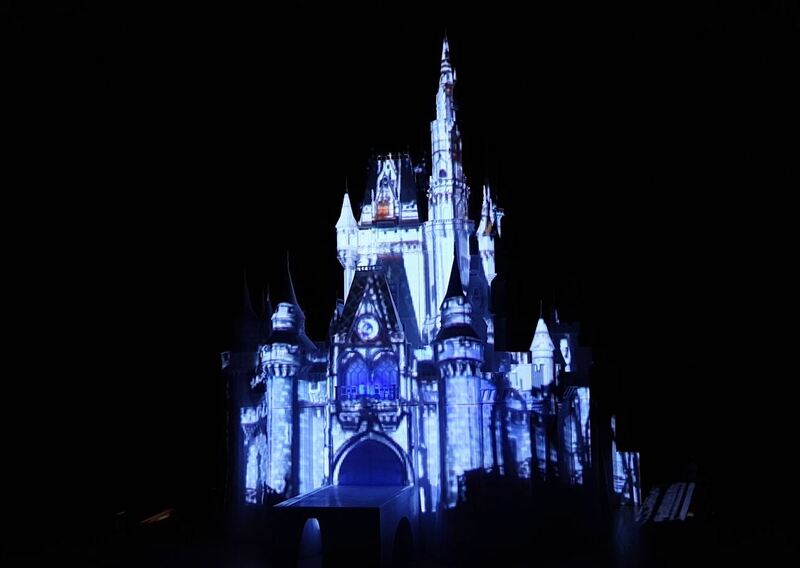 Just got back from Disney World and I have to say... "Happily Ever After" was amazing. I still feel sad that "Wishes" is gone. 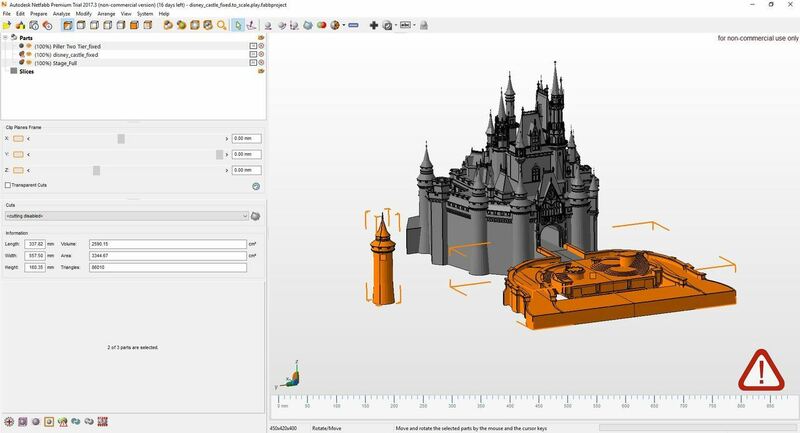 As soon I got home I started designing the additional pillars and restrooms beside the castle so we can project the new "Happily Ever After" projection show on it. 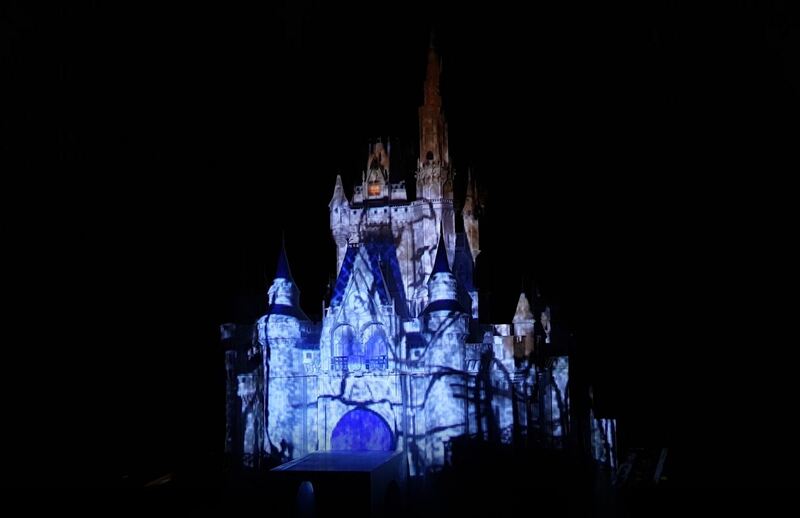 I will post a video of the new projections when I have it completed. Thanks Kristen! I will keep ya posted as I make progress. That is amazing! I can't wait to see this! We finally saw Happily Ever After for the first time last week and we LOVED it! Thanks Allie As soon as it's done, I will throw it up on youtube and let ya know. And we all LOVED it also. That is incredible! You are my new hero! Thanks for sharing. I never saw a need for a 3D printer until now. 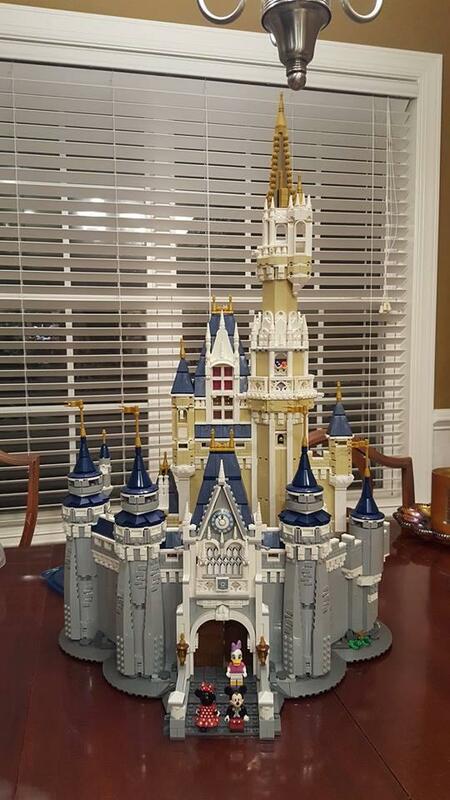 For those that have been following along with the Castle build, He are a few updates. 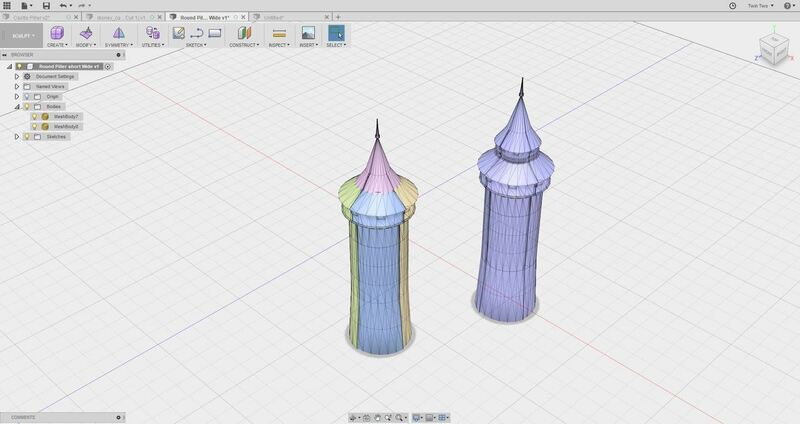 I am also designing the restrooms that are attached to the second pillar you see while at the Magic Kingdom. This is also coming together nicely. Annnnnd... 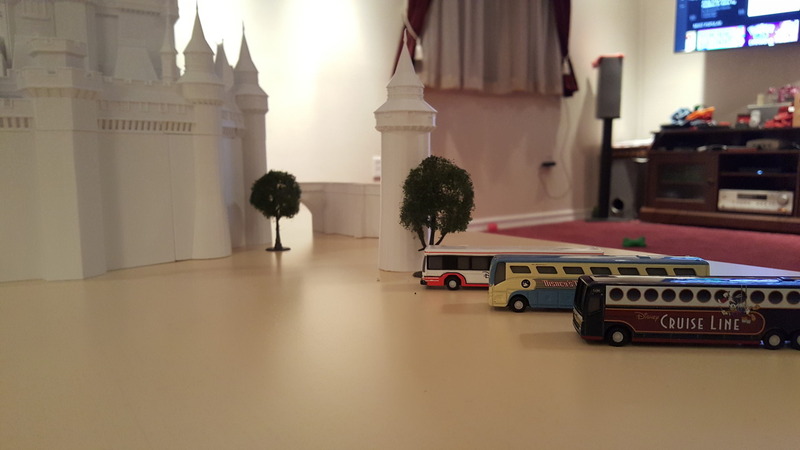 Thanks to an amazing designer Tuan Vu, I was able to use his Stage files and with a bit of modifying, seen below, I started printing the full stage in the front of the castle. 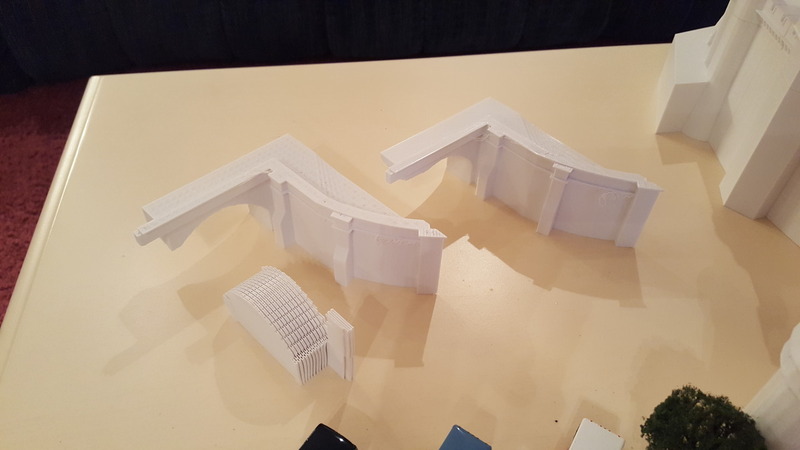 I re-designed it so that I could remove the section of the bridge that was already printed and attach it to the castle when needed. It would attach with railings to the existing Castle and slide right on the bridge. These will be 6 pieces at 12 - 18 hours a piece.